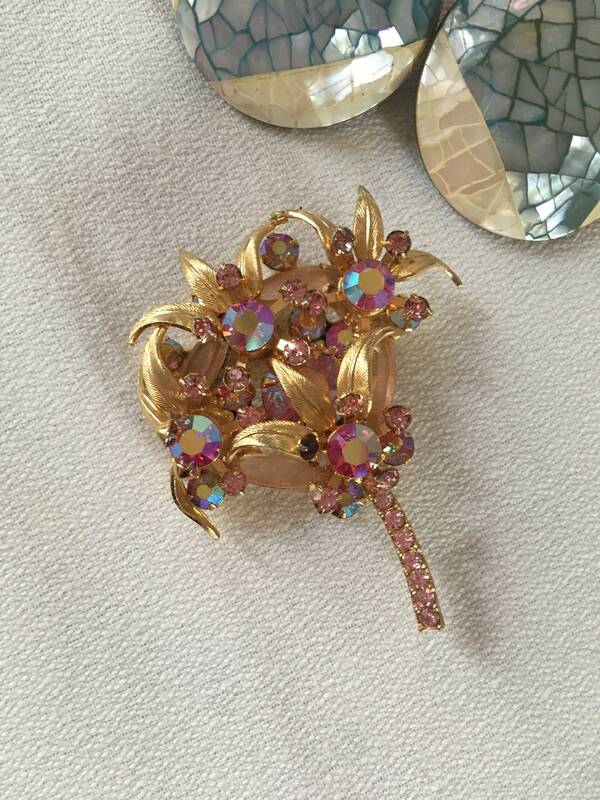 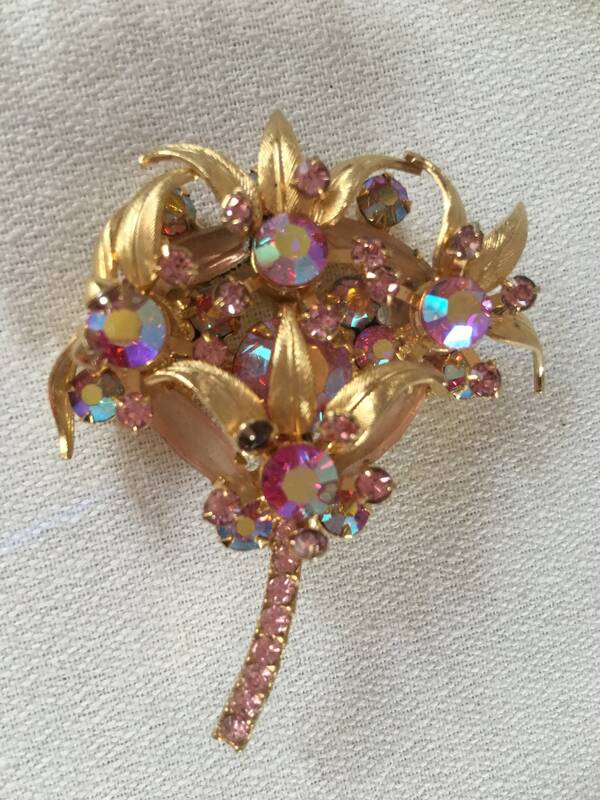 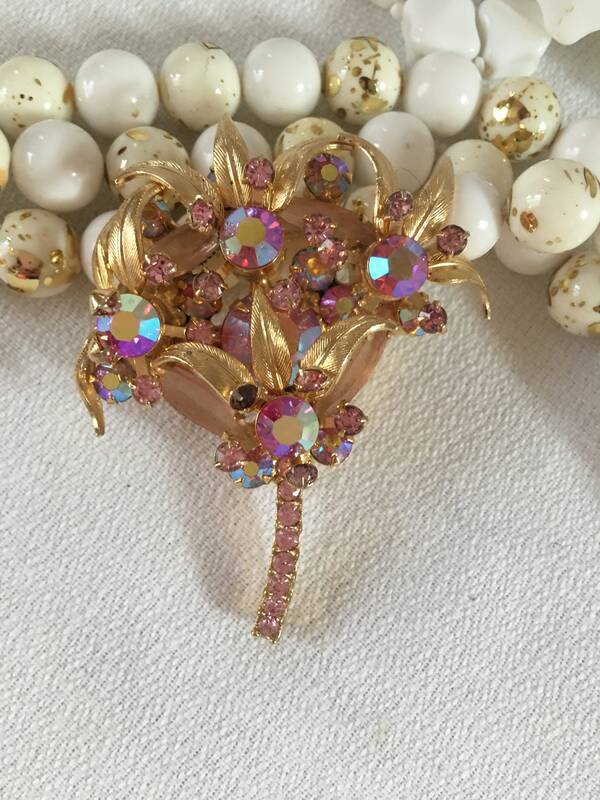 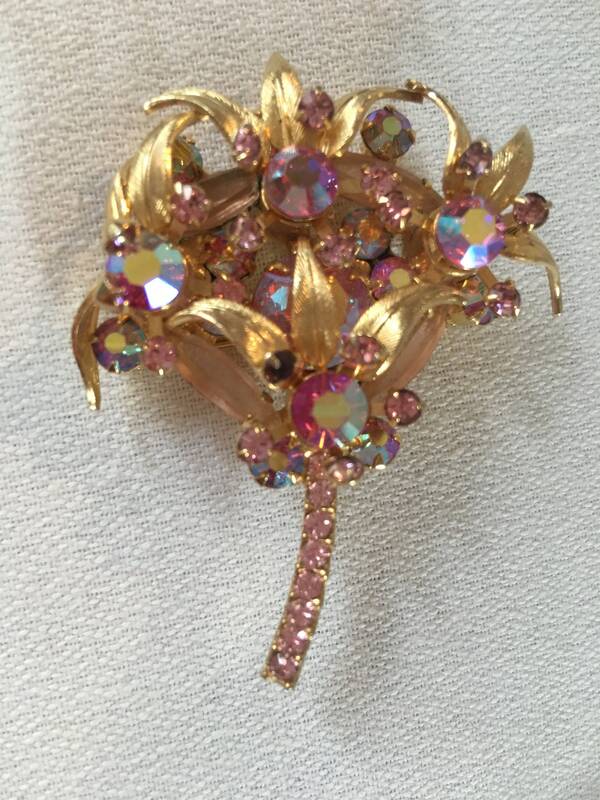 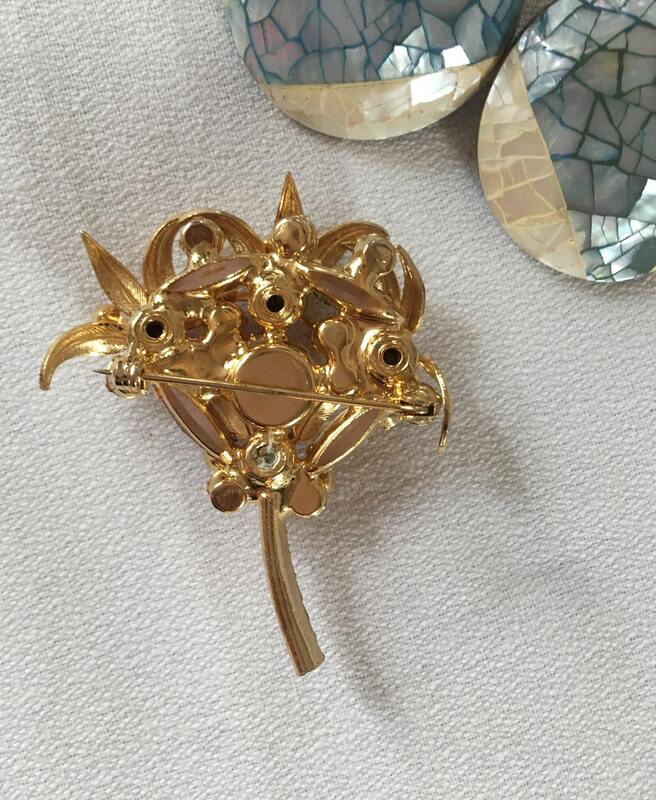 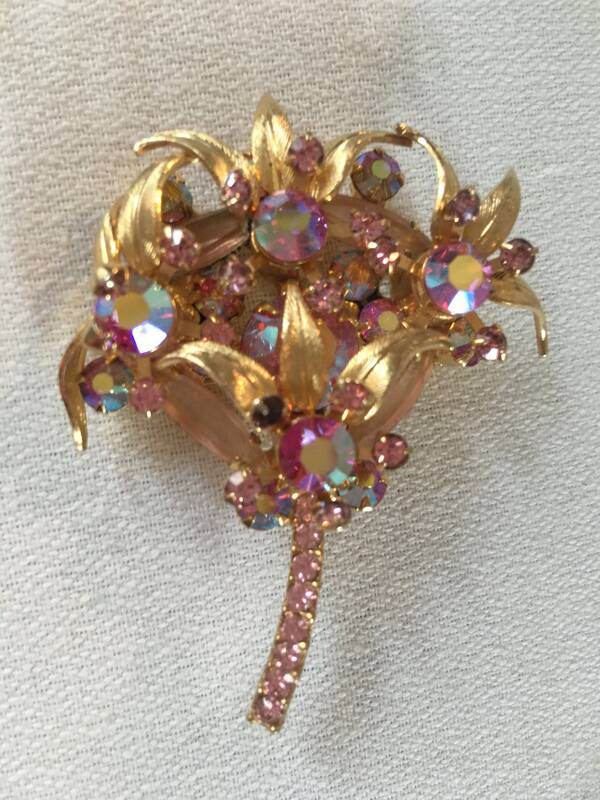 This lovely vintage pin is goldtone with pink and ab rhinestones and golden leaves. 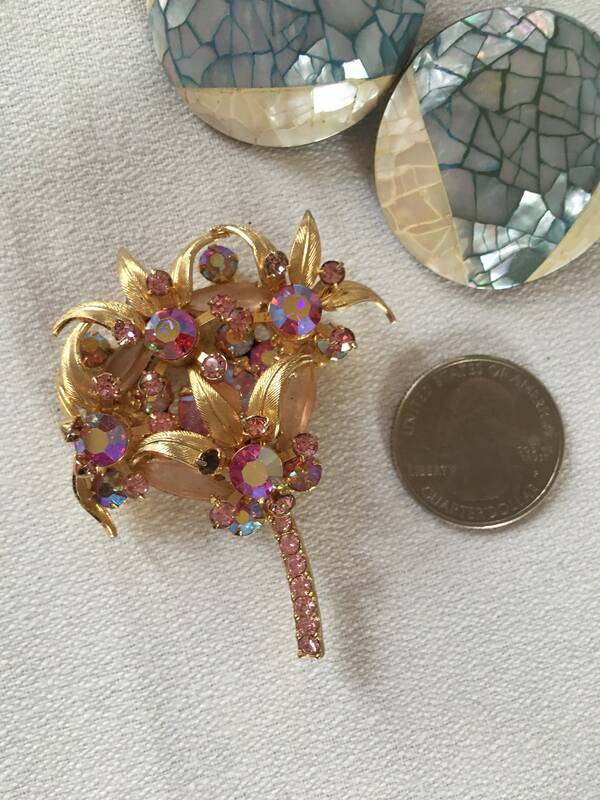 It is 2 1/4" x 2”. 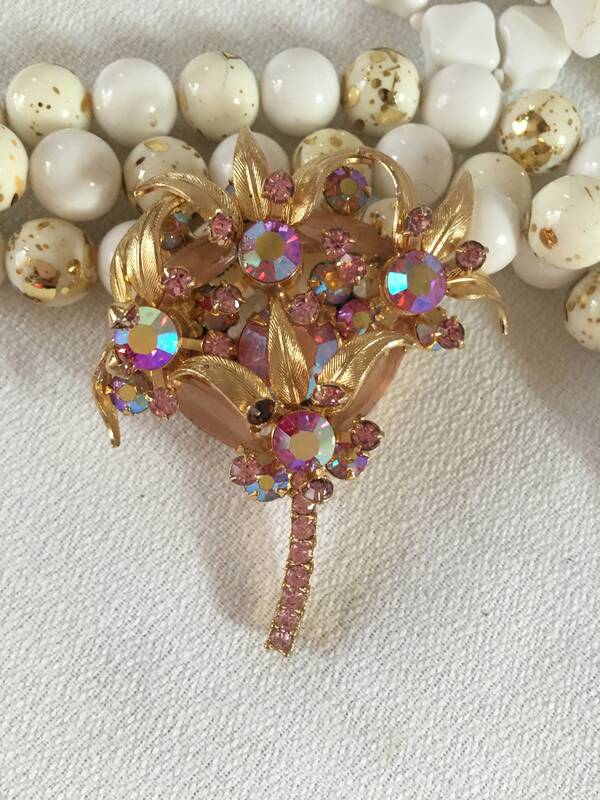 Beautiful Juliana book piece!